Dunrobin Castle and Falconry Tour, features a true gem of the Scottish Highlands, the outstanding Dunrobin Castle. This castle really is a must see when visiting the Highlands of Scotland. Something for everyone here, tour the castle, marvel at the immaculate gardens, visit the old museum, stop at the private railway station and finally enjoy a falconry display with Andy the resident falconer that will be a highlight of your holiday. 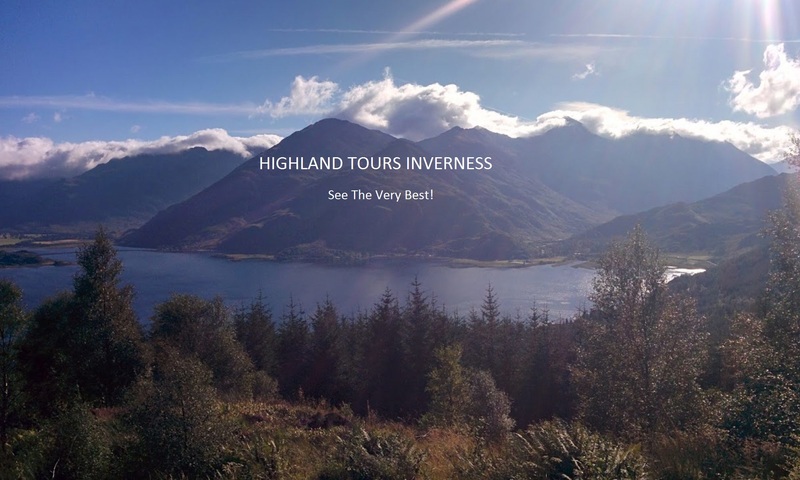 Apart from Dunrobin Castle this tour takes you to several amazing stop highlighting the best of Scotland. Castles, whisky, falconry, witches, spirits, wildlife & scenery this tour really does highlight the very best of Scotland! Leaving Inverness you travel across the Kessock Bridge to start your Dunrobin Castle and Falconry Tour in an area known as The Black Isle. Your first stop on this fantastic peninsula will be the Clootie Well. This is a place of pilgrimage in Celtic areas. 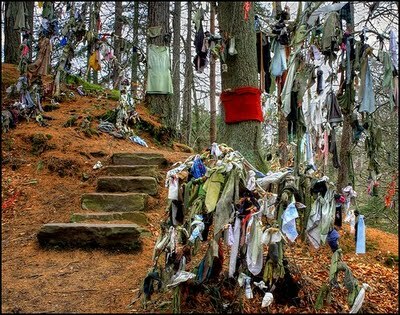 A Clootie Well is a well or spring which has a large tree beside it with strips of cloth tied to it. This particular spring near Munlochy is dedicated to Saint Curidan and is thought to have healing powers. You would dip the strip of cloth or clootie into the water and then rub it on the affected part of the body until the cloth disintegrates taking the ailment with it, or tie the cloth to the tree and say a prayer. Now onwards to ‘The Struie’ and Millionaires View. 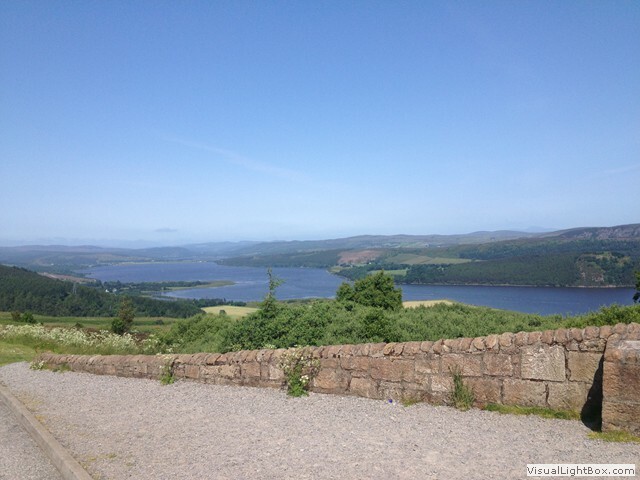 Here at the two Millionaires View points you will get spectacular views across the Dornoch Firth towards the mountains and lands of Sutherland in the distance. On a clear day you can see 40 miles away. Next stop is the fantastic Balblair Distillery. The Balblair Distillery is one of Scotland’s oldest being founded in 1790 and the second oldest still producing whisky in Scotland. Its sits in a town called Edderton surrounded by rugged mountains where the Allt Dearg springs supply the water. 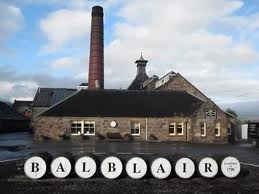 The Balblair has won several awards and was recommended by Ian Buxton in 101 Whiskies to Try Before You Die. 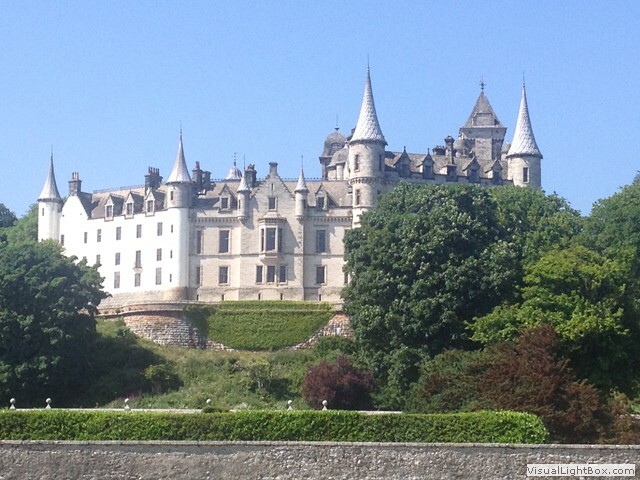 After a tour and a dram you’ll make your way to Dunrobin Castle. Drunrobin Castle is amazing right from the moment you enter the long tree lined drive. Before driving down to the castle a visit to the Dunrobin Castle train station will take you back in time! Dunrobin is one of the most impressive castles you will find in the Scottish Highlands with almost 200 rooms! The castle’s history goes back to the early 1300s. It has been home to the Earls and Dukes of Sutherland and also used as a bording school for boys and during the first world war as a naval hospital. Here at Dunrobin Castle there is much to see and enjoy! Inside you can tour the castle and it’s magnificent rooms learning about the history of the Sutherland clan. Outside, walk around and admire the perfectly maintained gardens and spend time in the diverse museum with an amazing array of items on display. Resident Falconer Andy puts some birds of prey through their paces twice daily, this is a simply amazing informative display where you will see these birds close up and learn about their skills. Now onto some more wildlife at Loch Fleet nature reserve. 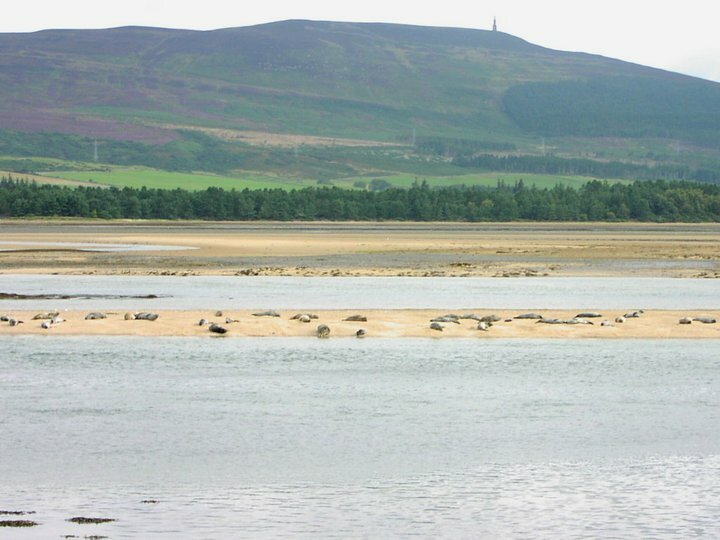 Loch Fleet nature reserve is a protected area of water off the Dornoch Firth. Home to seals, otters and a variety of birds this tidal basin is an excellent spot, especially when the tide is out to see these animals close up. Not far from here is Royal Dornoch. Royal Dornoch is a picturesque town with lovely sandstone buildings. 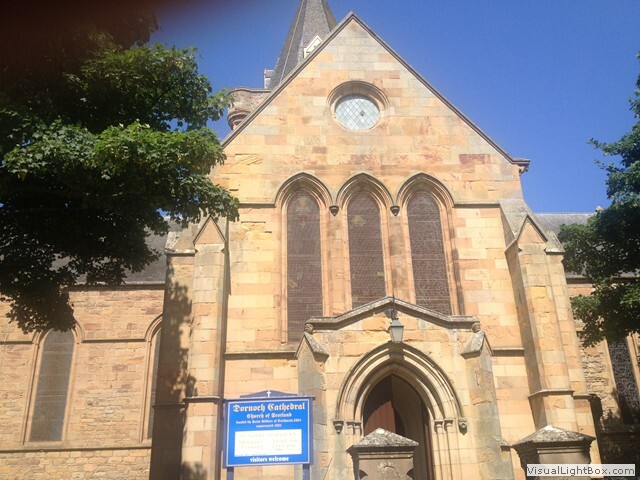 Dornoch is mainly famous for the cathedral which was build in 1224. Inside the cathedral the architecture and stained glass windows are fantastic, with lots of historical references. Situated across from the cathedral is The Castle Hotel, thought to be from late 15th century and an award winning whisky bar, worth a visit even for non whisky drinkers! Other things to see in Dornoch are the Witch’s Stone and the links golf course which has been ranked 13th in the world. Now finishing your Dunrobin Castle and Falconry Tour by making your way back to Inverness, enjoying the fantastic scenery and farmland on The Black Isle. The Clootie Well will be one of your stops on tour. 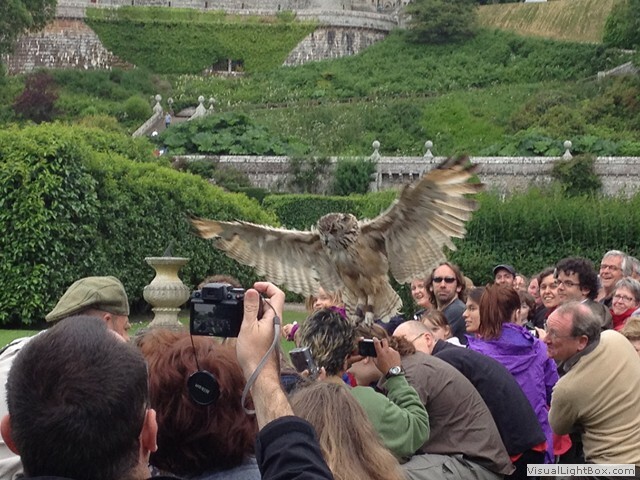 This Dunrobin Castle and Falconry Tour lasts approximately 8 hours.